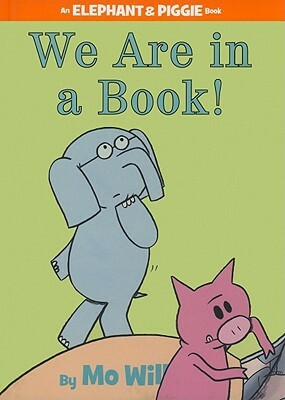 Elephant and Piggie have shared the spotlight in twelve books prior to the release of We Are in a Book! (and more to come). Twelve stories featuring birds on heads and party invitations, dancing and throwing and sneezing and flying, and new toys, new friends, and new surprises. Now finally, in lucky book number thirteen, Gerald and Piggie realize that the spotlight is on them. Piggie: Someone is looking at us. Gerald: Who is looking at us? A monster? Piggie: No. It is … a reader! A reader is reading us! Piggie explains how books and speech bubbles and words work, and the two friends revel in the incomparable coolness of being in a book. Then Piggie wants to have a little fun with the reader - and with Gerald. Piggie decides that the ultimate in hilarity would be to make the reader say a word. That word? 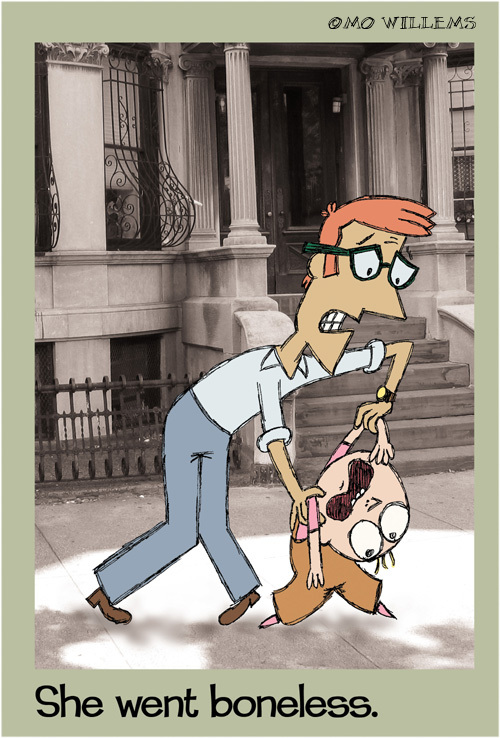 Once again Mo Willems has created a laugh-out-loud funny book featuring two beloved characters. (I hope they’re tight with Pigeon, or he might be getting jealous.) 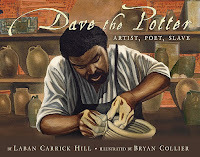 Young readers will enjoy seeing how characters react - and interact - with the person holding the book. 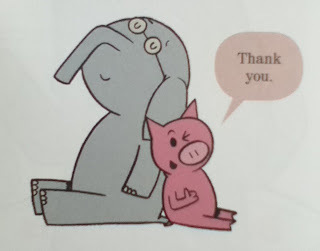 If Elephant and Piggie books have been a hit in your home or classroom, We Are in a Book! will be equally welcomed and eagerly read by all their fans. 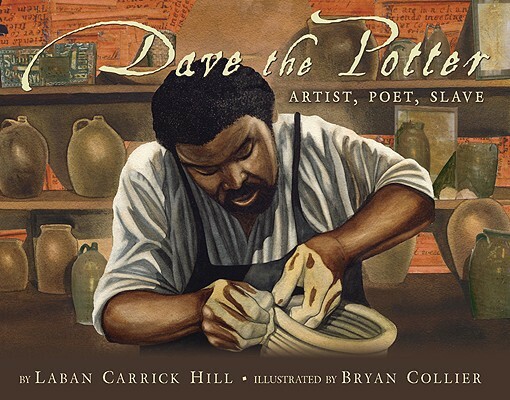 If Elephant and Piggie books have NOT been a hit in your home or classroom, what are you waiting for? That can only mean you don’t have them yet! At the beginning of Heart of a Samurai, in 1841, Manjiro is a fourteen-year-old fisherman. Over the next twelve years of his life he endures a shipwreck, is rescued by American whalers, spends years at sea, and explores both coasts of North America. 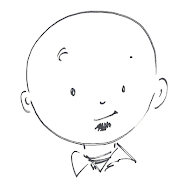 At the end of the book he is a man in his mid-twenties, still motivated by his overwhelming desire to return to Japan. 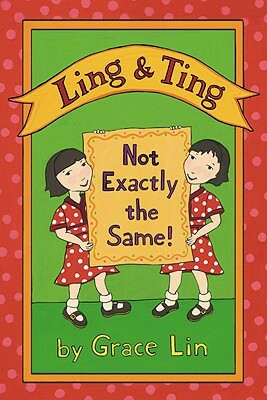 The book is divided into five parts. After being shipwrecked on a deserted island (part one), Manjiro and his fellow fishermen are rescued by barbarians - westerners, as seen by the Japanese. Part two tells how Captain William Whitfield of the whaling ship John Howland quickly recognizes Manjiro’s eagerness to learn. Manjiro learns English, the economic importance of whales, prejudice, and the Captain’s inability to take him back to Japan. Now calling him John Mung, Whitfield offers to take Manjiro home with him to New Bedford, Connecticut. Part three details Manjiro’s time in New Bedford learning farm life, going to school, trying to understand the very different American way of life, and continued prejudice. Part four tells of another whaling trip and Manjiro’s participation in the California gold rush in 1849. Finally, part five is about Manjiro’s ultimate quest to return home. That’s a lot of ground (and water) to cover in just under 300 pages. Just like the novel’s main character, Heart of a Samurai doesn’t stay too long in one place. Readers must pay close attention to the passage of time. Many chapters begin by giving a month and a year. At other times a chapter’s opening paragraph will pass six months. Chapter 20 begins with “Winter was quiet.” Five lines later it says, “But spring brought ...” Readers may not know, for example, that whaling voyages literally took years, so missing the passage of time may lead to confusion. At the same time, the novel’s fast pace never leaves readers in one spot for long. Manjiro moves from whaling to school to whaling to gold rush, and readers will be eager to see what sort of adventure comes next. At the end of the book, author Margi Preus includes an extensive glossary of Japanese words, terms, and phrases, whaling terms and parts of a ship, and sailor’s lingo. (And if one of my oppos proves to be a shonkey, I may tell him to stow it before he finds himself with the devil to pay and no pitch hot.) 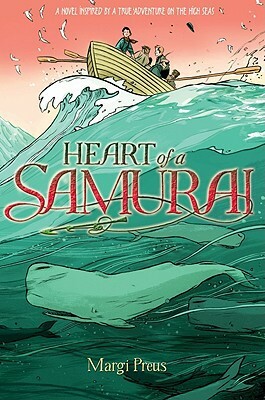 Heart of a Samurai will be good for upper elementary and middle school students who know the ropes and who won’t be whistling up a wind when trying a more challenging read.